It's a common misconception that cosmetic surgery is less risky than other types of surgical procedures. Every operation carries some degree of risk, including plastic surgery. While some of these risks are unavoidable, certain surgical complications may form the basis of a malpractice suit. 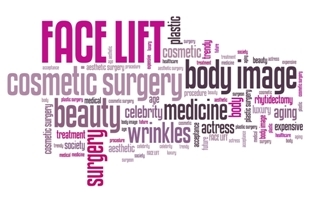 Women made up 92% of all cosmetic surgery patients. The majority of cosmetic surgery procedures were performed on women ages 40-54—accounting for 49% of patients. Only 1% of all surgeries were performed on teens age 13-19. Cosmetic surgery represents a $13.3 billion business. Because elective surgical procedures aren't covered by insurance, patients often try to shop around for the lowest price. This has led to a sharp increase in the number of unqualified surgeons performing cosmetic procedures. Only a physician who has earned board certification from the American Board of Plastic Surgery should be performing plastic surgery. This organization requires members to complete extensive knowledge tests and six years of surgical training following medical school—with a minimum of three years of residency training in plastic surgery. Since cosmetic surgery is considered elective, there is an expectation that the patient is assuming some element of risk by agreeing to the operation. And simply being unsatisfied with the results of your cosmetic surgery isn't enough to form the basis of a malpractice claim. The risk of complications from cosmetic surgery is highest in patients who are overweight, smoke, and/or have a history of heart disease. There is also evidence to suggest that the most serious complications occur when surgery is performed in a surgery center or in an operating suite inside the physician's office. These facilities lack the resources of a hospital with an ICU, causing a delay in treatment that can worsen the patient's outcome. Your care was the result of a doctor-patient relationship between you and the defendant. The plastic surgeon was negligent in his treatment of your condition before, during, or after the surgery. The plastic surgeon's negligence is the cause of the harm you've suffered. The plastic surgeon's negligence caused specific compensable damages such as added medical costs or time off work during your recovery. Louisiana has a one-year statute of limitations for malpractice cases. You must file your case within one year of the surgery or the date when the complication was discovered in order to be eligible for compensation. Since it requires time to gather medical records, expert testimony, and other case evidence, it's in your best interests to seek legal representation as soon as possible. Neblett, Beard & Arsenault’s experienced attorneys are dedicated to helping Louisiana residents receive the compensation they deserve for their medical malpractice claims. If you believe you've been harmed by the actions of your plastic surgeon, please call today to schedule a free, no-obligation case review.